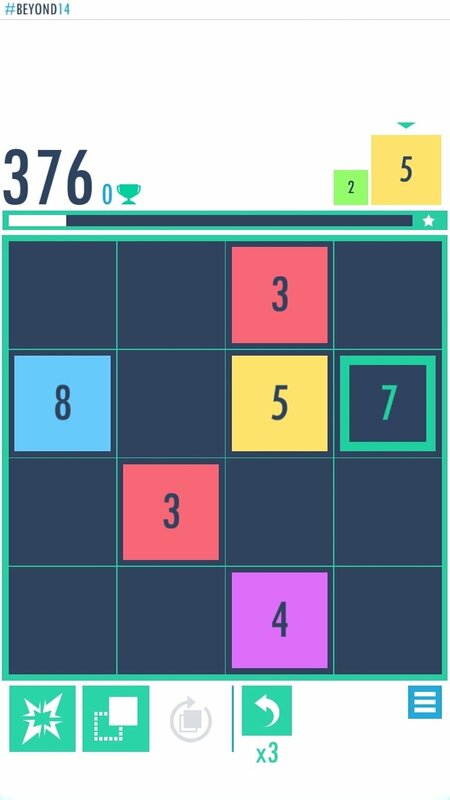 Puzzle games based on tiles and numbers have loads of fans (as is the case of 2048), and that's why new titles of this style are always welcome. 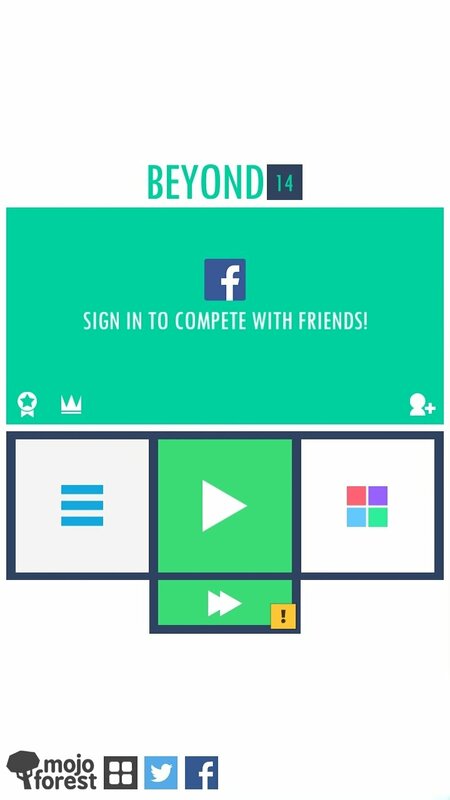 And here comes Beyond 14, a game in which we have to combine tiles depending on their number in order to increase their value. 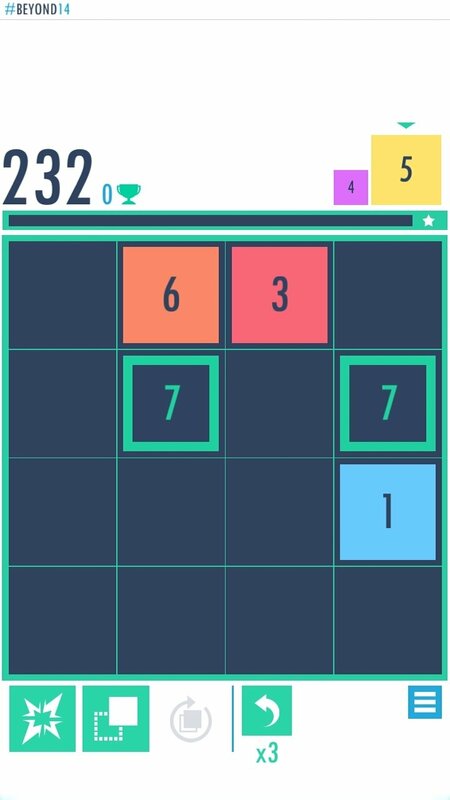 This Android game is played on a board on which you have to place numbered tiles. 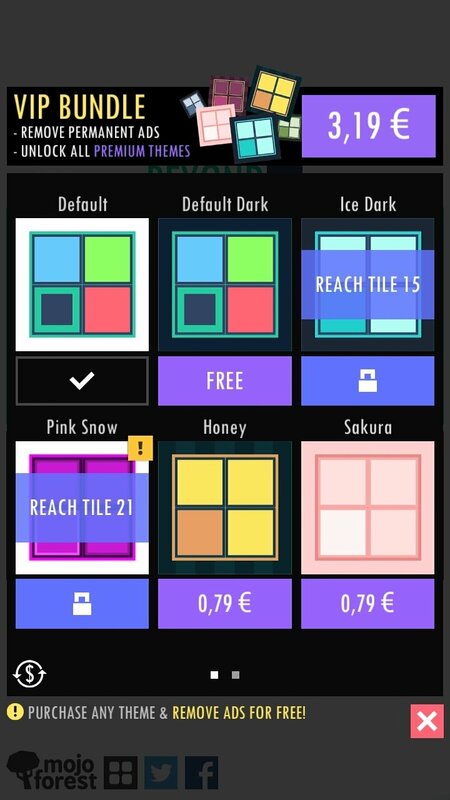 You have to make the tiles you bring down to the board touch those with their same number in order to increase their value by one and leave blank spaces. 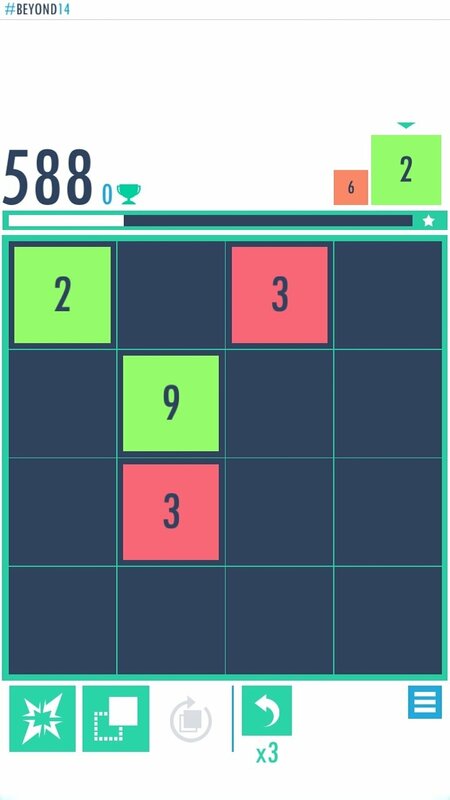 A game that follows suit to 2048 and other similar games. When does the game end? 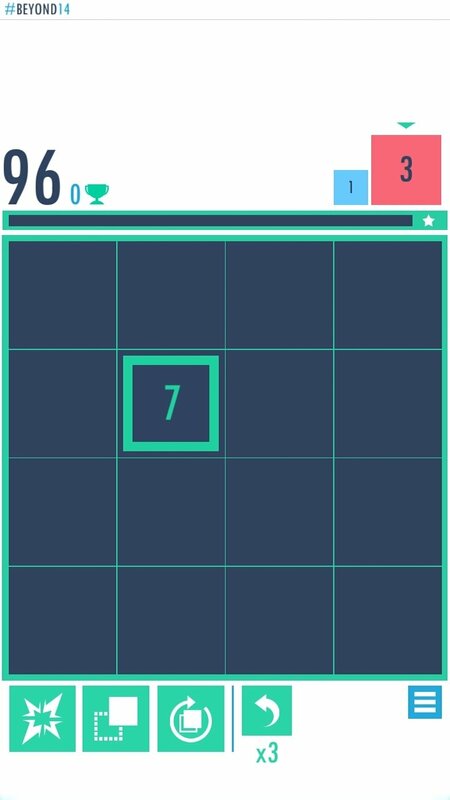 Well, there are two ways to finish: running out of moves in which case you can't place any more tiles or reaching number 14. 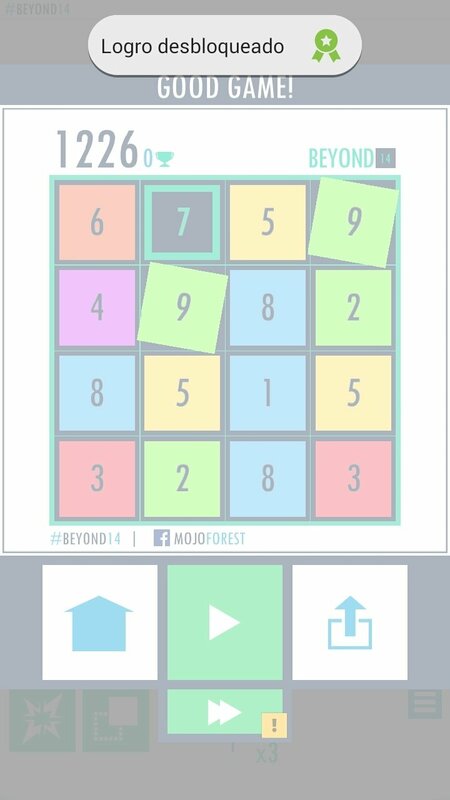 In any case, even if you do reach the desired number, you don't necessarily need to stop. Special powers such as Bomb, Clone and Refresh.